No one can serve two masters. or be devoted to one and despise the other. You cannot serve God and mammon. You recognize that as the beginning of today’s Gospel. Who is this “mammon” to whom Jesus refers? “Mammon” is the personification of whatever material possessions come to have an importance in one’s life that makes them be in opposition to God. In the Jewish Talmud the term Mammon was used primarily to designate not only money but also any material possessions to which one attaches excessive value. Palestinian archeologists sometimes find hoards of coins in the ruins of ancient homes, or they find traces of the prior existence of such hoards. You should remember that the living audience to which Jesus words were addressed was largely composed of peasants and laborers. These persons had very little opportunity to possess hard cash and paper money did not exist. So, when hard cash in the form of coins came into their possession the instinct of these people was to bury it rather than spend it. As their cash hoard tended to increase in size over time there developed a tendency to become overly attached to it and to let its existence influence the their daily lives. So here we have the radical teaching of Jesus on wealth and ownership of material possessions. Excessive attachment to such possessions competed with the love and worship one owes to God and hence “Mammon” came to signify a false god who was alienating the affections of a person from the true God. The radical teaching of Jesus on material possessions was expanded by his use of the word “worry.” It means more than simple thought or planning, it means anxiety or preoccupation, even in extreme cases, obsession. It is one thing to occasionally purchase a lottery ticket, but it altogether another matter regularly to take a significant portion of one’s income to purchase a lot of lottery tickets or to make frequent trips to a casino. It is said that Imelda Marquez, the wife of the president of the Phillipines had several hundred pairs of expensive shoes. Collecting material things can be a hobby or it can become an obsession. Next Wednesday is Ash Wednesday and we begin the Season of Lent. Lent, unlike Advent, is a penitential season. 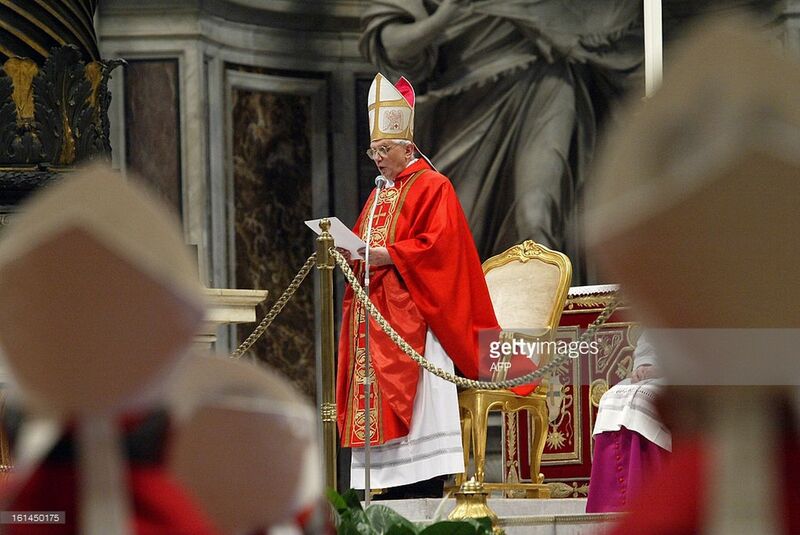 Many people thought that The Second Vatican Council, changed everything in the Catholic Church. I can assure you that Lent was not changed and is still a penitential season in which Catholics are urged to adopt one or more Lenten resolutions to forego something they would usually enjoy having or doing during the forty days of Lent. In the light of todays Gospel I suggest that you take the time to reflect on your life and see if perhaps there is something you have inordinately enjoyed doing or having that might justifiably be considered mammon worship. GAVE UP ON CALVARY THAT YOU MIGHT HAVE ETERNAL LIFE. and of the Holy Spirit. Thank you Jesus ; and you father for reminding me .